Doctor Who continuity says that the Daleks will occupy the Earth for centuries, plundering and reducing the population into a small band of rebel fighters. But the beginning of The Mutant Phase shows us that the Daleks have their own problems, not only from the Thal freedom-fighters trying to destroy them, but they are also becoming ill from a disease known as the mutant phase, which works like an alien version of mad-cow disease but it infects them even quicker, despite their armoured casings. However, this disease is no normal one, infecting the body it liquefies the brain but leaves the body intact, turning infected Daleks into a mindless swarm who seeks survival by eating anything it can get its tendrils on. And this swarm is destroying Daleks and Dalek-held planets by the dozen. But worse still, as it destroys the Daleks so it multiplies making more versions of itself. The Doctor and Nyssa find themselves arriving in the middle of this, a time that the Doctor knows is before his first incarnation finally repels the Daleks from the Earth. They quickly meet up with a small group of humans who are working with the Thals, trying to survive, it isn't long before the pair are asked to help, not the Dalek invasion but to put an end to the mutant phase. Nyssa says everything you need to know about this story when she exclaims that nothing makes sense. The story certainly isn't helped by the Fifth Doctor trying to unravel the plot for the listener to follow in one massive passage at one point! Perhaps the main problem with this story though isn't the temporal paradox that it causes but the fact that it is part of two series at once. 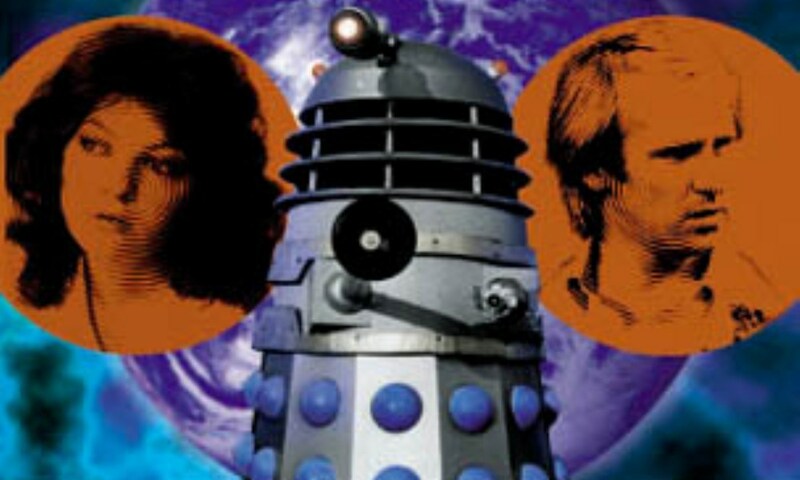 While The Mutant Phase works as one of the early additions to Big Finish's catalogue it also begins the setup for one of their most enduring spinoff series', Dalek Empire. As a result, the Daleks and the freedom fighters get much of the airtime with the Doctor and Nyssa being reduced to nothing more than cameo parts. And the fact that this is a story that is set before the First Doctor turns up a few hundred years down the line, the supporting characters are given far, far to much development when they only appear in this one audio adventure.